This place can do no wrong in my eyes. Even though sometimes the staff can be a bit ‘busy’ it is just as good as always. It is a small kitchen style restaurant. The food is quick and delicious. 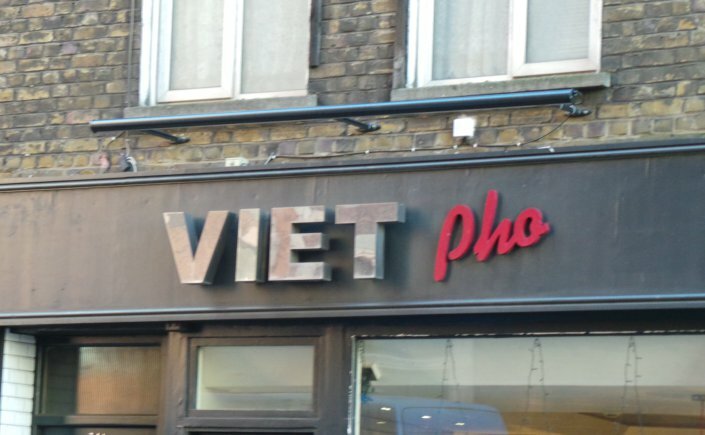 In the year’s I have been coming it is consistently good food, and I am yet to be proved wrong to my claim it is the best place to have Pho in London. They recently have branched out and offer more than just vietnamese dishes, there is a selection of Thai dishes including curries. It has had a little makeover recently. Gone are the shredded, biro scribbled priced menus and basic cutlery, but the sentiment and simplicity stays the same. Queues can occur here, but I swear it is worthy of the wait.